What is racial gerrymandering and why should I care? Unless overturned, the new NC districts will be in place until 2020 Census data causes the next redistricting update. According to Weigel, the newly gerrymandered voting districts are expected to favor Republicans by keeping their majority in the Legislature and possibly unseating the four current Democratic congressmen. So yes, racial gerrymandering arguably makes a difference in North Carolina elections. But what about other parts of the country? Let’s take a step back from North Carolina and focus on another voting rights battleground state: Texas. 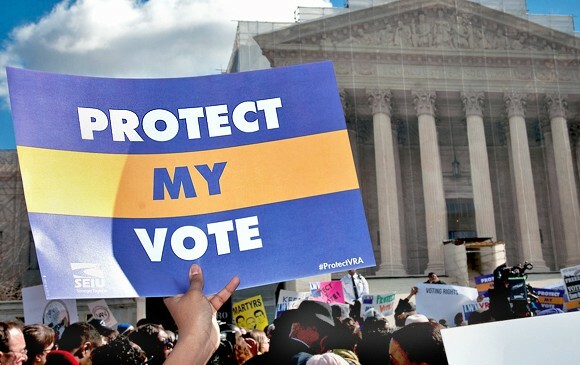 SCSJ staff attorney Allison Riggs represents the Texas NAACP in a case arguing that the state’s 2011 and 2013 redistricting plans were intentionally discriminatory, targeting African American and Latino voters, and that they violate the Voting Rights Act. We are seeking bail in under Section 3 of the VRA, which in effect would reapply Section 5 to statewide voting rights changes. 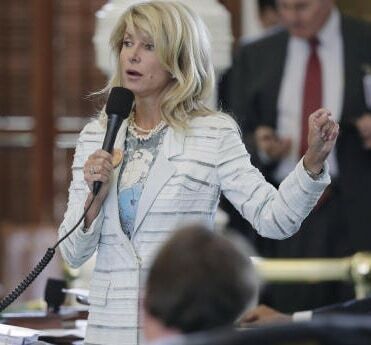 As a result of this case, interim redistricting plans were drawn that, among other things, successfully kept Texas from fragmenting the minority populations in Texas Senate District 10, the district that elects Senator Wendy Davis. Senator Davis is white, but election results demonstrate conclusively that she is the candidate of choice of voters of color in that district. In June of 2013, Senator Davis stood on her feet for over 10 hours, filibustering one of the most stringent abortion bills in the country. A bill designed to shut down nearly every clinic in Texas that offered abortions. The redistricting battles we fight produce real victories all the time, but this one was special — because of SCSJ’s role in that redistricting litigation, Texas voters were able to keep electing a fierce champion for women’s rights and social justice. Wake County NC School Board gerrymandering: This lawsuit opposes gerrymandered school board voting districts on one-person, one-vote grounds. A victory will ensure that every voter’s vote counts equally and that a partisan gerrymander imposed by the North Carolina legislature will not frustrate the will of the voters who oppose the resegregation of Wake County Schools. Redistricting lawsuit, NC – On appeal to the North Carolina Supreme Court, we represent numerous organizations and individuals challenging the extremely racially gerrymandered districts drawn for state house, senate and congress. Redistricting lawsuit, FL – this case is scheduled for trial in January 2014. Representing the Florida NAACP, SCSJ is arguing that Florida’s new constitutional amendments on redistricting should be interpreted in a way most protective of the voting rights of voters of color. Redistricting lawsuit, TN – On appeal, SCSJ argues that the state’s senate redistricting plan violated state constitutional requirements. If we are successful, we will be able to ensure more African American representation for Memphis and Shelby County, Tennessee. Redistricting cases are lengthy and costly due to the need for extensive research, professional GIS mapping, and expert testimony. You can help SCSJ ensure that racial gerrymandering is not used to disenfranchise voters of color by making a tax-deductible donation today. Previous Article: Montravias King: first the right to run, then election victory!